> Research Library > PGi > WEBINARS VS. 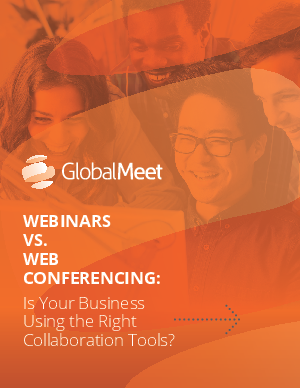 WEB CONFERENCING: Is Your Business Using the Right Collaboration Tools? Today, businesses and teams are becoming more dispersed, and the speed of doing business is accelerating. These two realities point to the growing need for reliable tools that allow teams to successfully work, collaborate and engage customers and team members in a meaningful way. Webinars and web conferences can empower your people to do just that.